Origins is a prequel to the original Silent Hill and is set seven years before the original events of the first game. 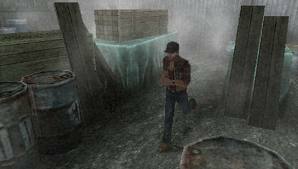 This time we follow the story of Travis Grady a trucker who is on a late night trip and drives just outside of Silent Hill. As he drives closer to the town a girl runs into the road causing him to stop. When he climbs out he see's the girl, a young school girl in a blue dress. 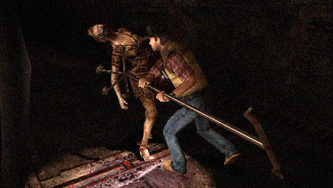 She runs away from Travis which therefore causes him to follow and lead him up to a burning house. Inside the house he finds the burned body of a young girl placed inside a sacrificial ring that has been drawn on the floor. He rescues the girl from the burning building and blacks out. 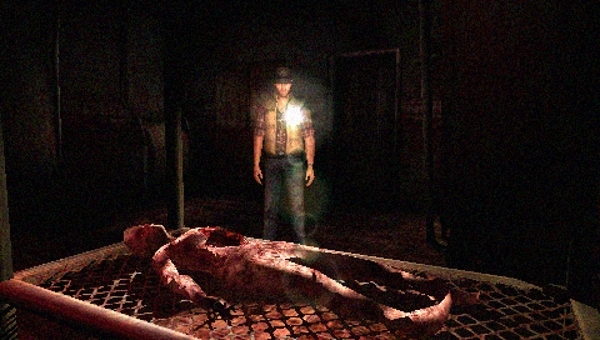 When he wakes he's in the town of Silent Hill and therefore goes on the hunt for the burned girl. In Origins Travis can travel in and out of the Normal and Dark Silent Hill by various mirrors around the town. On his hunt for Alessa he also awakens a dark past of his own. Origins only introduces a total of three new characters that being Travis himself and his parents. All other characters have returned from the original game to provide more of a back story. 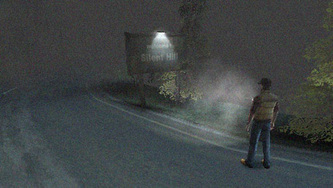 Silent Hill: Origins was released as Silent Hill: Zero in Japan. Travis Grady also makes a very brief appearance in the ending of Silent Hill: Revelation which does suggest that if a third film was to be made it could be based around Origins. Japan (Titled: Silent Hill Zero): December 6th 2007. The Lead character, Travis is a trucker from out of town. He ends up in Silent Hill after rescuing a girl from a house fire. Upon leaving the house he blacks out and wakes up in Silent Hill. While there he searches for the girl in the fire but awakens his own dark past at the same time. Father and Husband to Travis and Helen Grady. After his wife was institutionalised he fell into a deep depression. It wasn't until he finally realised that the woman who was now locked up was no longer the woman he married that he decided to kill himself. Mother of Travis Grady, She appears to be mentally unstable and speaks of the another world and monsters in the mirrors. She previously tried to kill herself and Travis at a young age and was locked away at the Cedar Grove Sanitarium. 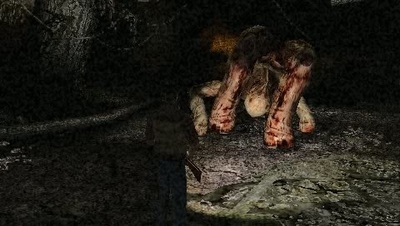 She appears as a monster in the game. As Origins is a prequel all characters from the Original game return. Origins creates more of a back story for these characters. 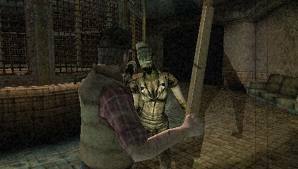 Straight Jackets are very similar to the Lying Figures from Silent Hill 2. Although unlike the Lying Figures they are extremely fast. They attack by spewing out acid but also jumping onto their victims and spraying acid into their face. Ariel's are puppet like creatures that hang upside down from the ceiling. They only appear in the Artaud Theatre. If attacked they will drop to the floor and walk. They attack by chocking their victims. Ariel's are made from porcelain and can be killed easily. Best avoided if they appear in groups. 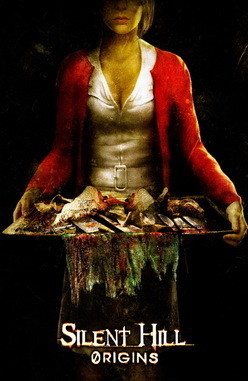 As with previous Silent Hill games the a nurse type creature also appears in Origins. Although slightly different in appearance they do carry various weapons. They cannot see in the dark and are quite easy to kill and avoid due to them being rather slow. 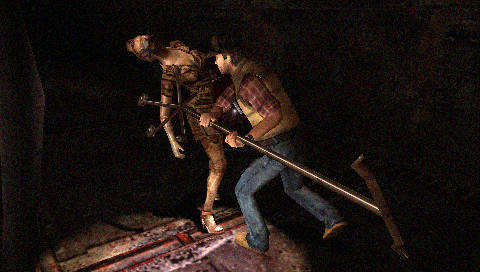 The Butcher is very similar to Pyramid Head. He has a face halfed covered in metal plates and carry's a large Meat Cleaver. 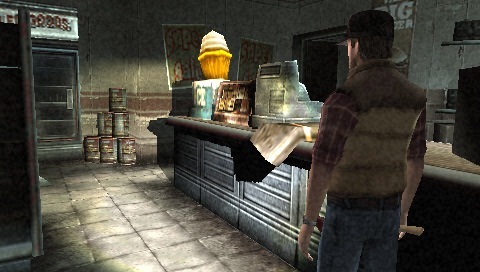 Travis comes across the Butcher in various locations around Silent Hill. It isn't until he finds him in the Riverside Motel Kitchen that he has to fight and kill him. The Caliban comes in various sizes and is seen in various locations around Silent Hill. Its legs are flipped over its shoulders with what appears to be its back legs actually being its arms. It's head appears underneath itself. It can attack by either stomping the ground or lunging at its victims. Due to its size it is quite slow and can easily be avoided. The two back is a large, strong creature that appears to be a mix of two creatures together. It's front arms have needle like ends whereas the attached back creature has needle like arms and legs. They attack by charging into their victims and also spit out acid. The carrion is a cow like animal. It appears to have been skinned and doesn't appear to be able to lift its head. It gets around by pushing itself forward with its back legs. They appear in various sizes and can attack by charging and jumping in its enemies. They also attack in groups. Remnants are ghost like creatures that will attack as soon as light it shined onto them. They can deal a large amount of damage. They appear in the dark as having a harness on their upper body. In the light they appear to look more like a shadow. Sad Daddy is a boss that appears in room 500 of the Riverside Motel. It is split into 3 cages and hangs from the ceiling. The main/middle cage appears to be the main part of the body, a face is visible but only partial features appear. The other two cages are opposite sides of the main body. These appear to have lower body parts inside them. The Sad Daddy can attack using tentacles, spitting blood and even biting. Momma is another boss that can be found in the Cedar Grove Sanitarium. The Momma appears to be trapped inside a metal dress like structure. Her mouth never closes and she attacks in several ways. 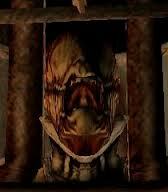 She can attack to her victims, spew out a toxic gas and the lower part of her cage also has spikes that appear from it. This is the final boss in the game and appears to look more like a demon than anything else. It has tentacle like rods that stick out from its back. Not only can this Boss attack with fire it can also follow and slash its victim. The Alessa's Dream boss can cause serious damage with very few attacks. 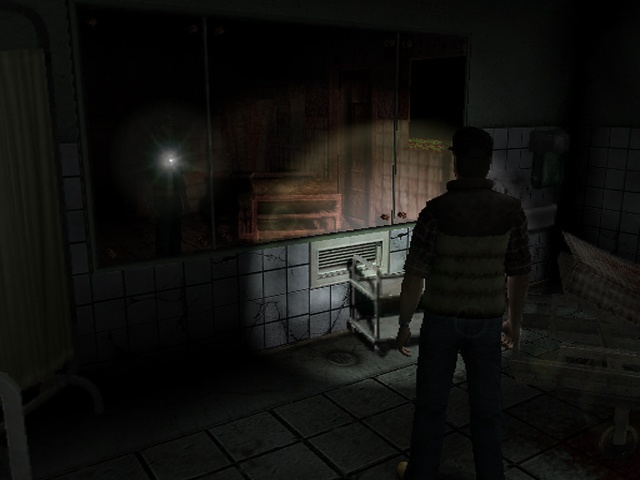 Travis walks out of Silent Hill and eventually finds his truck, as he beings to drive away he see's Alessa in his wing mirror holding a baby. Travis wakes up tied to a hospital bed. 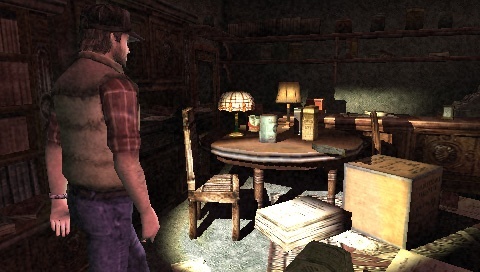 Cut scenes appear of various things including Travis covered in blood in the motel. This ending suggests that Travis may have in fact been a serial killer. A cult leader is also seen standing behind a mirror watching Travis while he tied to the bed. The third ending is a comical UFO ending. The Silent Hill: Origins Soundtrack was originally released in Japan under the Zero name. It was later released elsewhere. 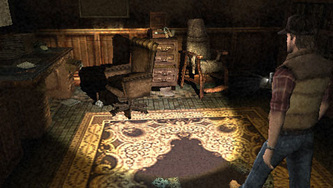 Once again the music has been composed by Akira Yamaoka with vocals from Mary Elizabeth McGlynn. 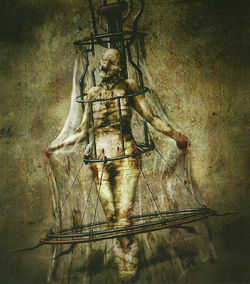 Unlike other soundtracks, the soundtrack for Origins came in a slim dvd case and included a 6 page art book along with a story about Pyramid Head. Various other versions of the soundtrack are also available including a 2 disc version. 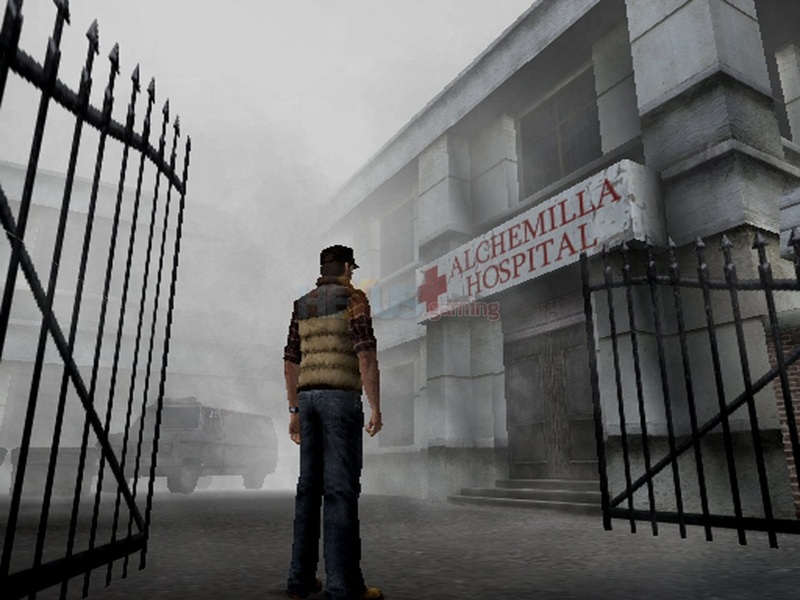 Silent Hill Origins was originally being created and designed by Climax Studios LA but as the studio was shut down it was moved to Climax Studios UK who redesigned the majority of the game. 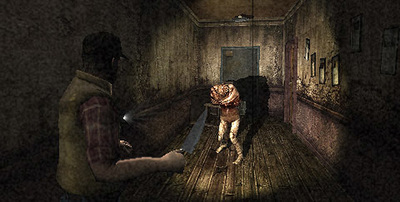 CS LA originally planned for Origins to be more action orientated and was designed to have a over the shoulder viewpoint, with zombies included in the game. When it was transferred to Climax Studio UK. Konami allowed the studio to redesign the game but had to have it finished within the same time frame and budget. Below is a prototype which was released by Climax Studios LA as well as an original beta gameplay video where you can see the zombies in the game.